Dr. Timothy M McCulloch is an associate professor and chairman of Division of Otolaryngology-Head & Neck Surgery at University of Wisconsin School of Medicine, Department of Surgery. He is certified by the American Board of Otolaryngology. He completed his MD at University of Nebraska College of Medicine. He specializes in treatment of head and neck cancer, voice and swallowing disorders, trauma, reconstruction, and skull base surgery. 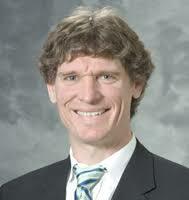 Dr. McCulloch’s research is in laryngeal function, dysphagia, trauma and head and neck cancer treatments.